Photo: From left to right: Manfred Kwade (CEO WEIDPLAS, COO Techniplas), Greogor Wolf (Head of Quality, Germany), Mike Lippold (Head of Supply Chain, Germany). For the first time in history our plant in Treuen won the GM award for highest quality and delivery performance. It is necessary to fulfill 13 criteria defined by GM (i.e. delivery performance, quality claims, certification status…) or to distance yourself clearly from standard suppliers. This award is a confirmation of a very good quality and cooperation of the entire supply chain. At the same time we understand this award as motivation to continue to improve in all areas. 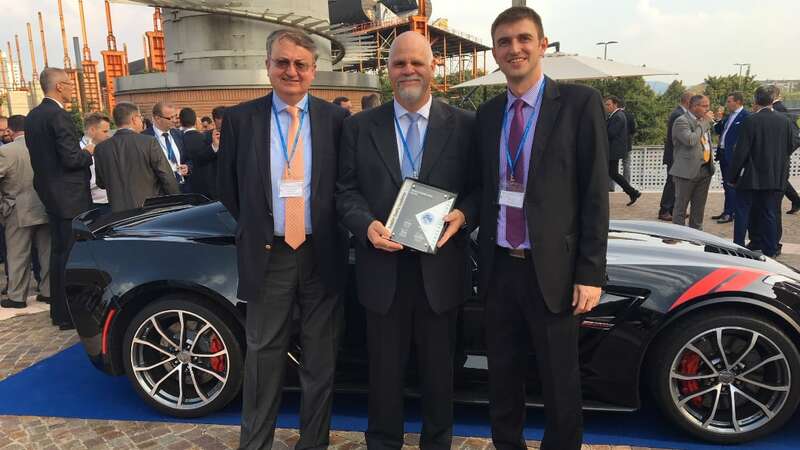 “We are very pleased that we are recognized as a strong and reliable business partner of GM also in Europe. This award confirms the very good performance at the Treuen plant”, says Manfred Kwade, CEO WEIDPLAS and COO Techniplas.